Not many school-age kids write in cursive anymore; instead they type. Learning to tie one's shoes seems more of a quaint, sentimental tradition than a necessity — we can thank Velcro for that. And fewer kids crawl on their hands and knees. Instead they more often learn to get around by rolling, or scooting themselves on their bums with a foot to the side like the oar of a canoe. My father-in-law would have none of that with my older kids when they were infants. He worked with them hand-knee, hand-knee up the stairs for hours. He had seen a Sunday news expose in the '80s about adults who never learned to crawl, creeping around on all fours in some vacant space in the Mall of America in Minneapolis. A popular belief at the time was that not learning to crawl conventionally could result in emotional difficulties in adulthood. While it has not been well proven that crawling is the key to an emotionally stable adulthood, it is clear that crawling provides benefits for acquisition of developmental skills through childhood. Fortunately, most kids who do not get around in the traditional crawl still develop quite normally, but they do tend to have weaker core muscles and necks, less flexibility of the hips and heads that are flatter in the back and less round than days of old. We can attribute these changes to the Back to Sleep campaign of the mid '90s, which was launched in an effort to reduce the rate of Sudden Infant Death Syndrome (SIDS). It was a worthwhile effort, with a 50 percent reduced risk of Sudden Unexpected Death in Infancy (SUDI, now called this because it includes not only SIDS but also deaths thought to be due to unsafe sleep practices leading to suffocation). We are not too certain what it is about being on the tummy that increases the risk of death. It seems to be a combination of genetic, developmental and environmental factors. But whatever the cause, we don't want to take any chances. So for at least six months, it is safest for infants to be put to sleep on their backs, on a flat mattress in their own sleep space without any pillows, crib bumpers or other objects that they might face plant on should they roll over. Sleeping in the same room, but not in the same bed, as a parent is safest. 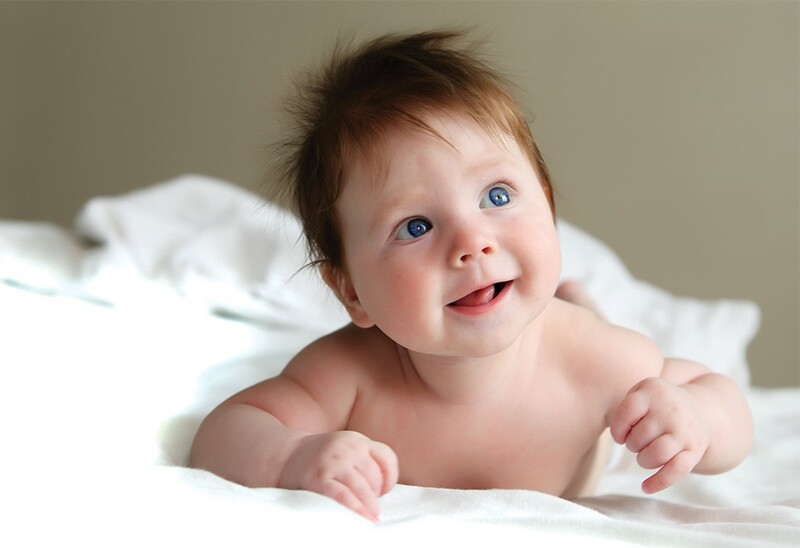 All of that means that "tummy time," under close observation, is more important than ever to help babies develop the neck and core muscles that allow them to progress normally with development, and to learn to protect their airways if they should end up rolling to their bellies — which they all do eventually. It can also help the modern head be a little more round, like rotating tires to allow for more even wear on both sides. Most babies are not too fond of tummy time, and that's why it has to be encouraged. They may only tolerate 10 seconds three times a day starting in the first weeks of life, gradually tolerating more as they mature. Easy ways to get babies off their backs include holding them lying over the thigh while sitting, or holding them over an arm with chest and belly — they will be in a Superman-style-about-to-fly position both ways. Just remember, tummy time needs to be observed: No napping on the tummy, or being left, even for a moment, without supervision. Once babies hit four months of age or so, they may tolerate some time in an ExerSaucer which will give them a good core workout. Jumpers are fun, but inertia with going up and down takes away much of the core benefits of gravity. As our barbers and hair stylists will attest, the modern head may sometimes be a bit wonky, and grade school basketball coaches may find themselves helping 12 year old players tie their shoes on the court during timeouts, but more kids are now around to have loose laces and less than perfect skulls — a good trade off in my opinion. The original print version of this article was headlined "Tummy Talk"